July 6, 2013 - We went to San Pedro to visit the USS Iowa (BB-61). 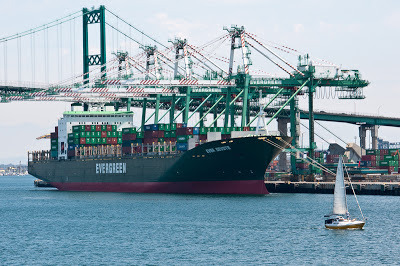 The Iowa, itself, is a ship so huge that when passing through the Panama Canal, there is only six inches of clearance between the ship and each side of the canal locks. 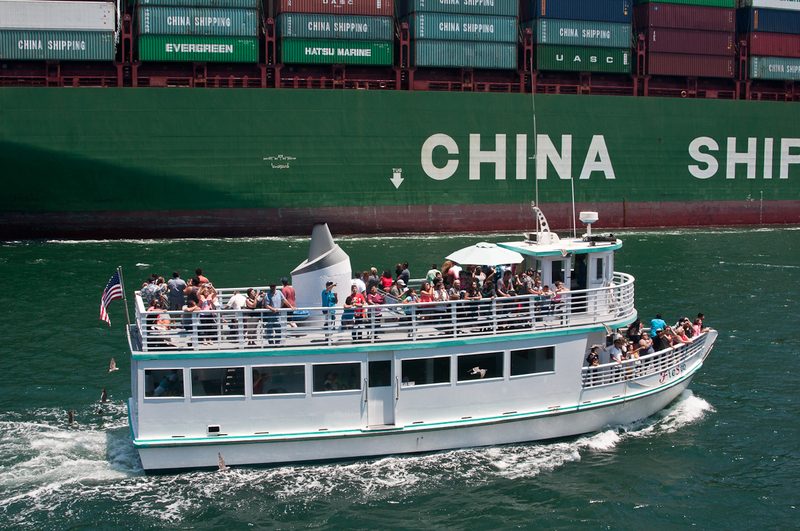 However, the Iowa is a dinghy compared to the Xin Los Angeles. While the others were on line buying the tickets, I was roaming around the nearby docks. 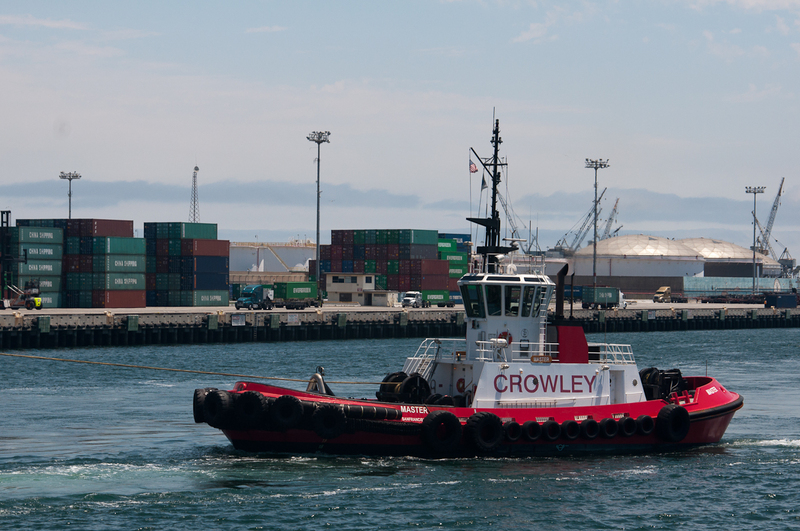 Two tugboats pulled away from the docks and headed out to sea. 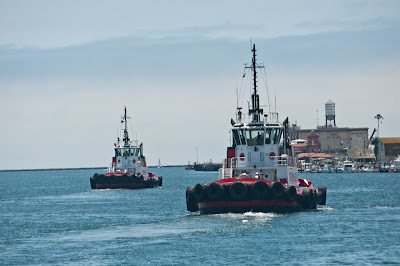 i did not really think much about where they were going or why. 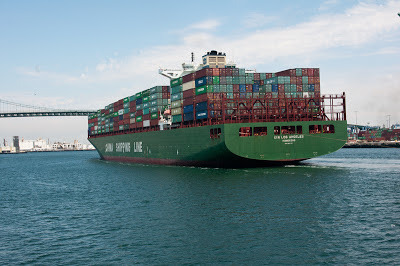 About an hour later, we were on the deck of the Iowa when a large container ship began approaching the San Pedro Inlet and the Terminal Island cargo docks. 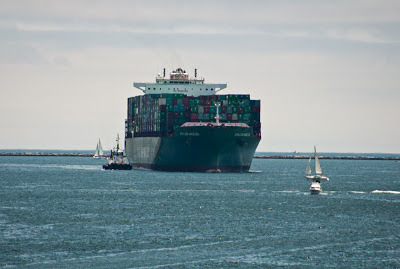 The incoming ship got larger and larger.. 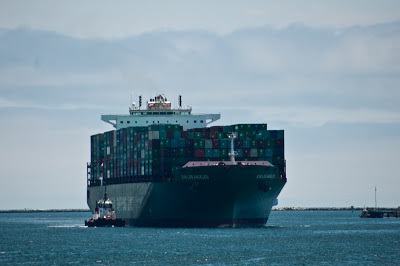 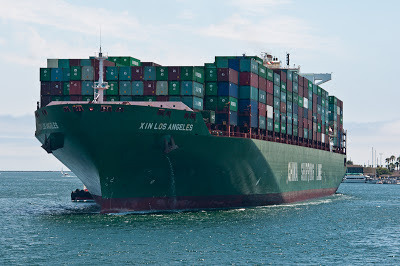 The Xin Los Angeles was the largest container ship in the world at the time of her completion in 2006, but since been overtaken in size by the Maersk Line's Emma Maersk, Gudrun Mærsk and Axel Mærsk. 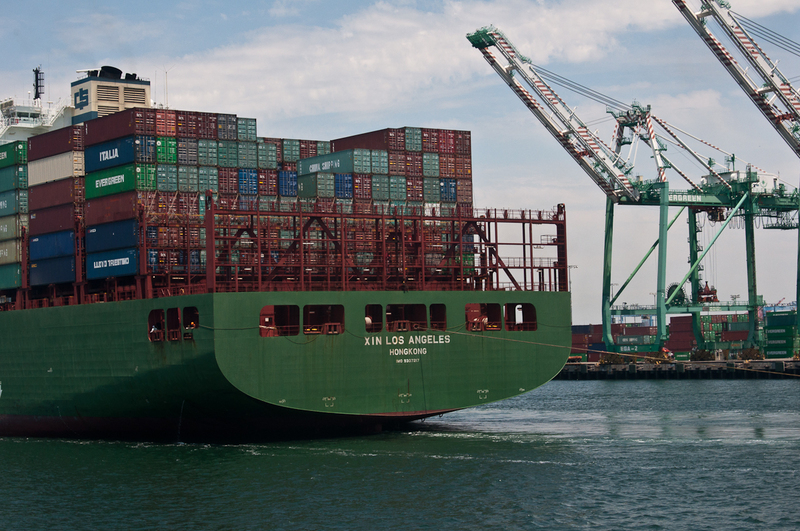 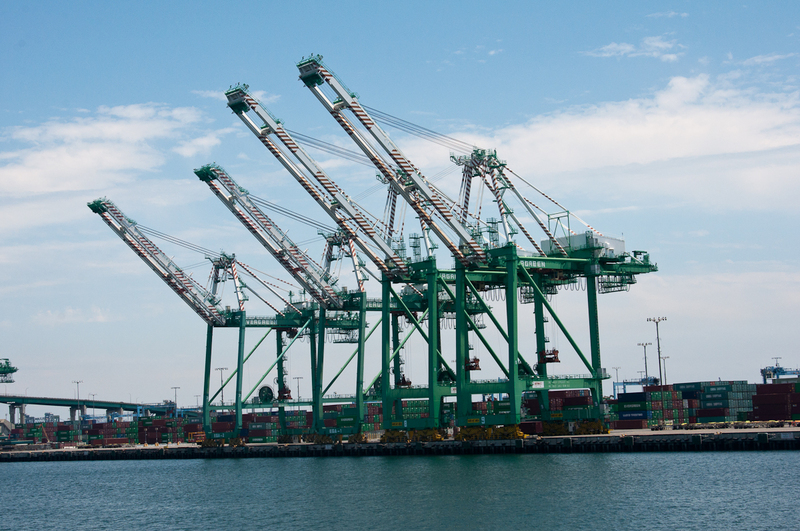 Xin Los Angeles has a capacity of 9,600 TEUs, and is one of a class of six. 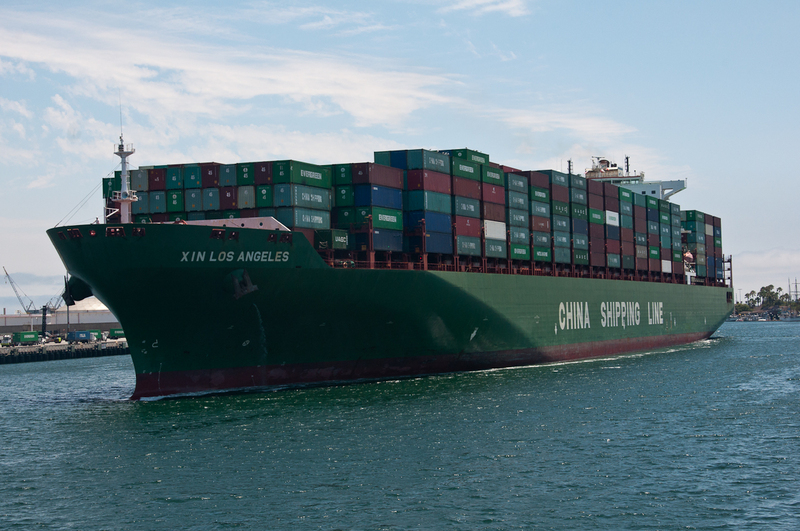 The Xin Los Angeles weighs about 2.5 times more than the Iowa.